On November 16 2017 the Superior Court of Justice recognised the validity of a foreign ship mortgage in Brazil. The decision reversed previous rulings issued by the Sao Paulo State Court. In 2016 the Sao Paulo Court of Appeals affirmed that a ship mortgage registered abroad was invalid in Brazil. The mortgage was over a floating production storage and offloading vessel owned by a company incorporated in the Netherlands and registered in Liberia (the flag state). The purchase of the vessel was financed on the Norwegian capital market and a Norwegian debt manager registered the first mortgage on the vessel in Liberia. After its construction, the ship went to Brazil, where it was contracted to operate for a period of 20 years. A national financing institution filed a claim for the seizure of the vessel before the Sao Paulo State Court in order to execute a debt incurred against the owner. With the deferral of the request, the administrator of the Norwegian debt securities intervened in the proceedings, protesting for her preference due to the ship mortgage duly established abroad. No similar judgments had been issued in Brazil. The lower court's decision did not recognise the foreign mortgage because it was not recorded before the Brazilian Admiralty Court. However, since the law provides for the registration of mortgages on national flagged vessels only, the court of appeals went on to analyse the context of international conventions on vessel mortgages ratified by Brazil (ie, the Brussels Convention 1926 and the Havana Convention 1929 (the Bustamante Code)). Since Liberia is not a party to those conventions, the court found that the foreign mortgage could not be given legal effect in Brazil. The decision was appealed to the Superior Court of Justice and the outcome of the case was long awaited by the maritime industry. The Superior Court of Justice unanimously reversed the lower court's decision and recognised the validity of the foreign ship mortgage in Brazil. 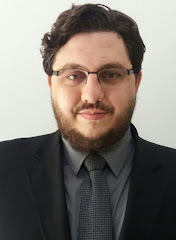 The court considered several provisions of the law and found that the legislature had been careful not to set out any device that would oppose international conventions signed by Brazil and remove the legal certainty of parties holding rights over a vessel. The court highlighted its respect for the acts of sovereignty of the countries where vessels are registered, pursuant to the United Nations Convention on the Law of the Sea and the economic importance of acknowledging ship mortgages of foreign states. The decision emphasised that large vessels must be registered in their flag states and that these registrations have extraterritorial effects. Further, it held that denying such effects would cause legal uncertainty to the parties involved, as well as restrictions on and increased costs for charter parties for vessels in Brazil. The ruling puts an end to doubts that have emerged regarding the future of ship mortgages in Brazil, secures foreign investment and preserves Brazil's international relations. For further information on this topic please contact Godofredo Mendes Vianna at Kincaid | Mendes Vianna Advogados' Rio de Janeiro office by telephone (+55 21 2276 6200) or email (godofredo@kincaid.com.br). Alternatively, please contact Fernanda Gueiros Bernardes at Kincaid | Mendes Vianna Advogados' Vitoria office by telephone (+55 27 3019 2633) or email (fernanda.gueiros@kincaid.com.br). The Kincaid | Mendes Vianna Advogados website can be accessed at www.kincaid.com.br. It has come to my attention that there is a new website focused on covering Brazil and Brazilian themes. Not under a legal perspective, but a journalistic one. Let`s hope they do a good job. You can check a sample of their work on the link below. With 1,100km, Ferrogrão will connect grain-producing regions in Brazil’s centre-west to the port of Miritituba, in the northern Pará state. The railway is expected to be an alternative to BR-163 road, currently the only way to take grains from central Brazil to northern ports. The project is estimated to demand 12.6 billion reais (US$3.89 billion) in investments. Vasconcelos said he was recently in China and was told about the intention from certain Chinese companies to form a consortium to take part in the auction, scheduled for the first half of 2018. He did not name the prospective bidders. “The Chinese are very interested in Ferrogrão,” he said, referring to state-owned enterprises in sectors such as cement and steel. In May, Brazilian and Chinese officials launched a joint Brazil-China investment promotion fund to increase productive capacity. The fund has an initial sum of US$20 billion to finance investment projects in Brazil that are of interest to both countries. In June, Jorge Arbache, foreign affairs secretary of Brazil’s planning ministry, said the fund was ready to receive investment pitches. The fund’s resources will primarily be allocated towards infrastructure, but will also accept financing requests related to manufacturing, agriculture and technology, the secretary said. He said the fund’s investment decisions will be made by a committee composed of Brazilian and Chinese officials, taking into account both countries’ priorities. The fund agreed on last year is expected to help finance the construction of railways. This will link Brazilian soy- and corn-producing areas to ports, potentially boosting Brazil’s economy as it slowly emerges from a deep recession. China also stands to gain because it is a large buyer of Brazilian grains. This is an article I wrote to Bloomber, in partnership with Harris Group, a Chilean-Australian law firm. I`m not sure if or when the article has been published by Bloomberg, but I`m posting the original text. This article describes legal changes that helped Brazil to climb a few positions in the Doing Business ranking from 2018 (as mentioned here). Brazil is a very large country, with clear regional differences. It is also organized as a federation, which means that part of the state authority resides in the member states. And, finally, it has a well-developed legal system, covering most of the areas associated with modern democracies, such as environmental controls, export quotas, etc. This legal system, however, is not backed up by an efficient administrative body, but rather by a very fragmented and often untrained team of public servants. As a result, entrepreneurs must face a myriad of local and federal regulations, managed by a circuit of suspicious bureaucrats. This is even more apparent during the export process. There is frequent confusion regarding the production of documents. Different federal bodies have conflicting and overlapping competencies. Some procedures are performed on paper, while others are processed electronically, causing the exporter to type in the same information two or three different times. 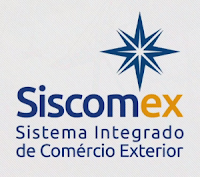 Moreover, the individual systems used by federal bodies do not communicate with the overall system, called “Siscomex”. Due to this gap in communication, the exporter must keep a physical file containing extracts of all the documents and licenses. This dossier was kept in place in order to instruct the inspectors, in case a physical inspection is needed. In order to solve this, the Brazilian government has been studying a way to centralize the import-export procedure, making it more efficient. To this effect, several rounds of public consultation have been carried out. The government has also been continuously making changes to the Siscomex, in an attempt to streamline the process: improvements were slowly taking place. However, since the traumatic impeachment process of 2015–2016, the Brazilian economy has needed a burst of incentive to start running again. From the onset, President Temer’s administration has been in a hurry to deliver reforms that would have an immediate impact on results in GDP. It just so happened that the consolidation of export procedures was the kind of cheap reform that could be implemented quickly. It involved no major spending and the framework was already in place. Indeed, the unified export system has started with exports by air and, as of June 2017, it became the main route for Brazilian exports in other modalities (road, rail, maritime, etc. ). The main rules that put the system in place were the Federal Revenue Service/Export Secretary directive n. 349, from march 21, 2017 and the CONAMA directive n. 14, from march 22, 2017. A description of the system’s main features and how it benefits business is provided below. Exports are now managed through an easily accessible online platform (ww.siscomex.gov.br). The system has been designed as a "single window" platform, where several agencies can interact with the exporter. The interaction includes the publishing of rules and clarifications and also the exchange of documents and forms. Moreover, the export procedures have been streamlined. They now depend on a single document, the Unified Declaration of Export (Declaração Unificada de Exportação, “DUE”). However, in reality, saying that the export process depends on a single document is not absolutely correct. The DUE is drafted based on the tax invoice (another electronic document, issued by any company in Brazil that is selling merchandise, even within the country). Also, there may be additional registrations regarding the identification of packages and cargo (as we will see below). The great innovation is that the DUE, processed via the new Siscomex page, replaces two or three other independent registrations that were required, one at each step of the export process. Every time, the data had to be typed in the system again and the process was prone to mistakes. Now, the DUE moves along the path, maintaining all the relevant information. One of the best improvement brought about by the DUE is the path for exportation of regulated products. As any other country, Brazil restricts or controls exports of several items. Some are subject to quotas. Strategic products like oil and military equipment are subject to limitations. Some are subject to specific regulations, such as diamonds (which must receive the Kimberley certificate) or merchandise that is dependent on sanitary controls. Before the DUE, each license or certificate would have to be obtained independently and would later have to be somehow added to the export documentation, or presented during an inspection. Now, these documents can be added to the system. Actually, the export procedure can be initiated without them and the exporter may obtain the licenses over time, as long as they are ready before shipping. This brings about another feature of the Siscomex single window platform. Additional documents can easily be scanned, signed digitally and added to the platform, This was not possible, or was very restricted, in the past. The unified export system has also adopted a unified reference for cargo (call “RUC”). This has been designed according to the WTO recommendations regarding a "Unique Consignment Reference." The RUC allows for the aggregation of several invoices into a single cargo and will be used to track shipments through all stages of the export process. Management of information related to packages and cargo used to be somewhat chaotic. This is certainly a welcome improvement. The system allows for the insertion of additional details about the products being exported. This feature aims at fixing a common problem, which was the request for more detailed specifications by the Customs importers. Since the information about the products was dispersed in several documents, and since the Harmonized System Code (adopted in Brazil with some modifications and called the “NCM code”) allows for generic classification (such as "other"), it was common to see a merchandise identified by its NCM, by a written description, and by some other code used internally by the Brazilian customs or tax authorities. The system has been designed to coordinate and centralize all description in a single place. The identification will be complemented by a Global Product Code (created by GS1). A relevant feature is that the system has a testing mode, which allows the exporter to simulate the operation beforehand and to check whether additional licenses are required. In summary, the system certainly brings a lot of improvements. It is being continuously improved and tends to make Brazilian exports much more agile. The end goal is to reduce export times from 13 to 8 days and import times from 17 to 10 days. The Portal also aims to increase transparency by allowing companies to monitor the progress of their operations in detail over the internet. According to the Doing Business study conducted by the World Bank, an export of a containerized good in Brazil takes on average 13 days to complete. An import of the same type of product requires 17 days. Additionally, it costs $ 2,215 on average to export a container from Brazil (excluding taxes), while for imports the same costs add up to about $ 2,275. This number puts Brazil in 124th place in the Doing Business trading across borders ranking. With the Unified Foreign Trade Portal, the goal is to have export times from Brazil reduced by 38.5 percent to a maximum of 8 days, in line with global best practices, by 2017. As for imports, the aim is for average terms to be reduced to 10 days, a 40 percent decrease from current levels, by 2017. As a result of the time reductions and consequent money savings, Brazil intends to be among the 70 best countries in the world for foreign trade. Time will tell if this becomes reality. Harris Gomez Group is a law firm with offices in Santiago, Bogotá, and Sydney. We also have legal teams in Mexico, Peru, Bolivia, Brazil, and Argentina. Over the last 16 years, we have been supporting foreign companies with their growth in Latin America. Many of our clients are technology companies, service providers and engineering companies that focus on the mining, energy and infrastructure markets. SAA in row over dismissal of Brazil head: "São Paulo en route to performances in Luanda, Angola. When the "
The Federal Revenue Service has just issue a Normative Instruction which details the process for Courier companies to register as special trading posts, able to import and deliver a large quantity of packages directly to Brazilian customers. 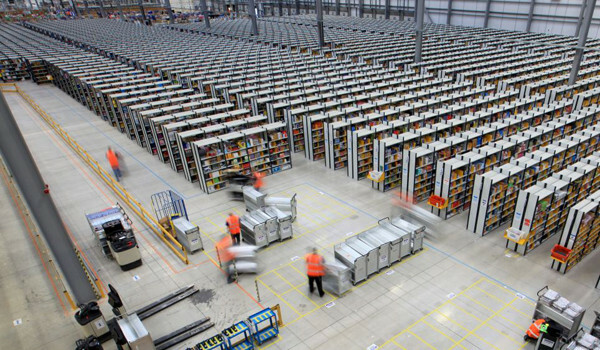 Think about Amazon, Ali-express, etc. The rules standardize the processo to register as a courier specialized in mass imports. This is the biggest advantage, as I see it. Previous rule were scattered and not very clear. The procedure involves a lot of bureaucracy, but is not overwhelming. Courier companies must provide a minimum guarantee of 200K Brazilian Reais (about 60K USD) in favour of the Brazilian government, presumably to cover for taxes. In this model, the courier companies will act as customs brokers, acting on behalf of the final client who puchase the goods. The basic are not changed. For example, the 60% flat taxation applicable over the packages. This taxation is, sometimes, supplemented by a state taxation of about 25%. For details about it, plese chek the slides of the presentation I gave at Ecommerce Expo, in London (here). 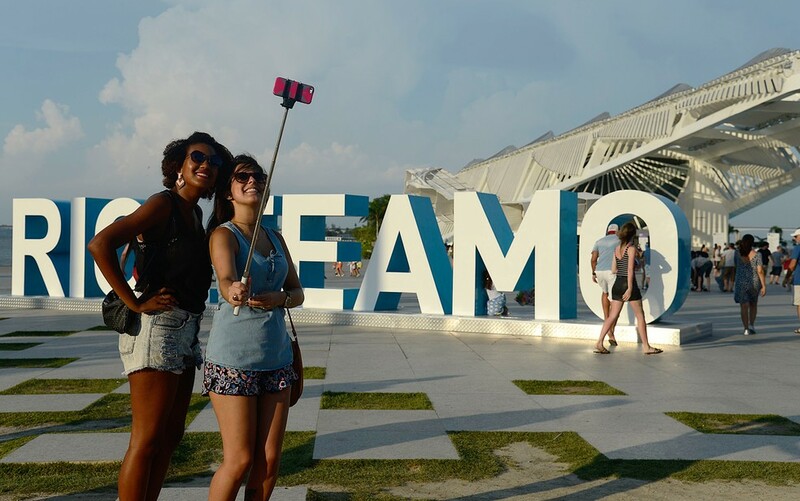 All in all, a very good initiative from the government, that will certainly attract e-commerce companies to Brazil. Brazil has clibmed from the 123rd place to the 120th. I understand that part of this improvement is due to a reform in the import/export procedures. They were heavily dependent on paper forms but have been updated to accept electronic form, via a centralized website. This has been one of the most subtle reforms of Michel Temer`s government. But it has caused a lot of impact on day to day operations. This is impressive if you compare it to the enormous effort being put in the reform of the pension system, with almost zero results so far. It also shows that a lot of the problems faced by Brazilian companies are not structural problems. The legal system is fairly well designed, most of the time. It is the small things that really delay business: the double notarizations, the lack of standardization, the need to xerox a document three times, because the first two copies were not clear enought, etc. Some other changes of procedure of the same nature than the export simplifcation have been adopted recently, with very good results. The adoption of the the Apostille for foreign documents, for example, has been working fine.